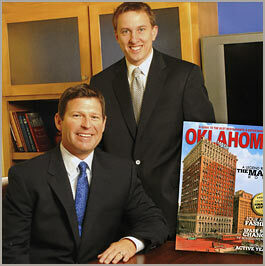 Chuck Fuller and Brian Carney recognized the need for a firm with a personal touch. So, in 2004, they founded Bridgecreek Investment Management with two goals in mind—to provide outstanding portfolio performance and an unparalleled level of client interaction and service. Bridgecreek is a boutique manager focusing on high-net-worth families, corporations, and family foundations in Oklahoma and Texas. While concentrating on individual stock and bond management, the company tries to maintain fewer clients and allows families to have a direct relationship with their money manager. Bridgecreek has been named a Top 100 Wealth Manager in the United States by Wealth Manager magazine for the past three years, and Chuck Fuller has been recognized as one of the Top 100 Wealth Advisors in the United States by Robb Report/Worth magazine. Chuck has an MBA in finance from the University of Tulsa, and Brian has an MBA in finance from Texas Christian University. Both principals are Certified Investment Management Analysts and have attained the prestigious Investment Strategist Certificate from the Wharton School of Business. Bridgecreek has a minimum investment of $1.5 million per household. *Bridgecreek did not pay a fee to receive priority or consideration to be named to this list. Bridgecreek did purchase an ad that was separate from the list to include a photo of the principals and their personal bios.